Join us in celebrating the 2017 CERF Scientific Award Recipients! The recipients of these awards embody the mission of CERF to advance understanding and wise stewardship of estuarine and coastal ecosystems worldwide by promoting research; supporting the education of scientists, decision-makers, and the public; and facilitating communication among these groups. In addition to five long-standing awards, CERF is excited to present two inaugural stewardship awards; one in honor of Margaret A. Davidson to recognize an individual’s excellence in coastal and estuarine management, and the Coastal Stewardship Award to recognize exemplary stewardship activities of an organization, project, or program. The Distinguished Service Award recipient is selected by the CERF President for their exceptional volunteer service to the Federation. The Federation thanks our Scientific Awards Committee co-chairs, Walter Boynton and Janet Nestlerode, as well as all of the subcommittee chairs and committee members, for their tireless efforts to recruit and select the outstanding recipients of this year’s awards. CERF also thanks the many nominators and letter writers that supported the exceptional nominations received this year. The 2017 Scientific Awards and Recipients are listed below. Visit About Scientific Awards page for more information about the awards and recipients, including past recipients. This award recognizes the significant accomplishments of an estuarine scientist who is in the early stages of his/her career development. The recipient will have shown great promise with work carried out during the first six years past the PhD. Dr. Damien Maher is a Research Fellow and Senior Lecturer at Southern Cross University in Lismore, Australia. He is a biogeochemist, whose passion for science and conducting interdisciplinary work is reflected in his superb publication record and enthusiastic support from students whom work with him. Dr. Maher’s research has predominantly focused on carbon cycling in the coastal zone with an emphasis on diffusive transport across the sediment water interface and the advective movement of carbon in porewater and groundwater. His extensive skills with carbon cycle research and cutting edge instrumentation, including the novel use of cavity ring down spectrometry to measure carbon dioxide and methane concentrations, has placed him at the forefront of this field. Consequently, Dr. Maher has an extensive network of collaborators, with his most recent work involving colleagues from the University of Hawaii and NASA to study carbon cycling in coastal wetlands. Dr. Maher is a highly productive, creative, and energetic scientist whom is well regarded by his students, colleagues, and the carbon cycle community in Australia and elsewhere. He is generous and shares his best ideas with his students, encouraging and mentoring them to publish research. Several of his Honors students have first-authored papers in top scientific journals on hypotheses that were originally conceived by Damien. One student writes how Dr. Maher’s “passion for the environmental sciences” and “his fervor for teaching and science was refreshing and motivating”, compelled him as an undergraduate to continue his education and complete his Ph.D. under “Damo the Gun” as Dr. Maher is known to his peers and students. Dr. Maher’s work has profound societal effects and is a significant contribution to major public debates in Australia which resulted in a community engagement award. 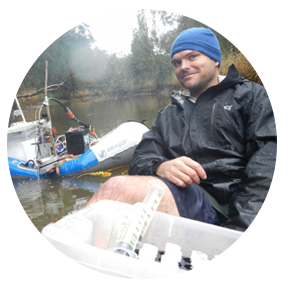 His collaborative research not only empowered regional communities to protect some of their vital water resources but his work has been featured on mainstream national media and labelled “highly significant” by the mainstream Australian media. His research accomplishments, passion for science, and ability to engage students and peers collaboratively from across disciplines in estuarine science, make him an ideal choice for the 2017 Cronin Award. Award Description: This award recognizes an individual that demonstrates extraordinary leadership, service, innovation, and commitment to the management of estuarine and coastal systems. This award also recognizes those who have worked in the estuarine and coastal arena and excelled in management and policy. Dr. William Dennison is Vice President for Science Application and Professor at the University of Maryland’s Center for Environmental Science. In his 33+ year career, he has led dozens of scientific and technical activities from the United States to Australia, from seagrass ecophysiology to science communication, and from elementary school students to graduate students and the public. His background is replete with work across disciplines and with multiple institutions. His ability to explain science to novices and experts, and to nurture talent along the way, is renowned. For those reasons and more, Bill was the unanimous selection of the review committee for this award. Award Description: This award is for an individual who has played a particularly important role in education at any level - from primary school to the graduate level, inside or out of the classroom, or in the education of the general public through outreach activities. 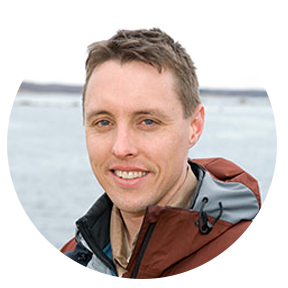 Dr. Drew Talley is an Associate Professor in the Department of Environmental and Ocean Sciences at the University of San Diego (USD), where he has been on the faculty since 2008. Dr. Talley’s nomination packet included letters from colleagues at USD, past students at the graduate, undergraduate, and high school levels, and colleagues at The Ocean Discovery Institute, a non-profit that provides STEM education for the most socio-economically disadvantaged youth in the San Diego area, where he serves as a Science Director. A theme that ran across all of these letters depicted a truly exceptional educator/mentor who has changed countless lives. While student populations in this socio-economic position traditionally hold a one in ten chance of graduating college, those associated with Dr. Talley boast an eight in ten chance for this metric, setting them up for long-term success in life. Additionally, seven of ten mentees have entered careers in STEM fields. At USD, Dr. Talley works with the national McNair Scholars program to guide under-represented undergraduate students to receive PhD degrees; he started and continues to run a chapter of SACNAS (Society for Advancing Chicanos/Hispanics and Native Americans in Science); he is on multiple Technical Advisory Boards for regional coastal restoration projects; he donates his time to be on two Boards for the San Diego Natural History Museum; along with many additional efforts to improve both our coastal environment and the lives of young people. As best stated by one of Dr. Talley’s students, “On behalf of the countless students that Dr. Talley has reached and empowered, I cannot think of a more commendable candidate for this award”. The selection committee whole-heartedly agrees. Award Description: The Odum Award is named for the three outstanding ecological scientists in the Odum family: Dr. Howard T. Odum; Dr. Eugene P. Odum; and Dr. William E. Odum, III. It honors an individual whose record of sustained accomplishments has made important contributions to our understanding of estuaries and coastal ecosystems. 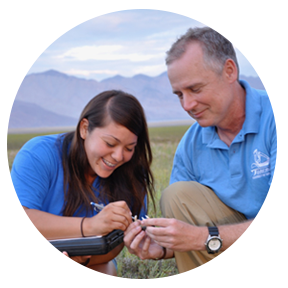 Dr. James E. Cloern is an exceptionally well-rounded scientist and is known for his "tenacious" stewardship of a long-term monitoring program in San Francisco Bay, a program he leveraged into groundbreaking research and synthesis with global datasets. Work such as his 2001 re-evaluation of coastal eutrophication, or his more recent 2012 synthesis examining phenology of phytoplankton biomass, have had tremendous impact on our understanding of coastal and estuarine dynamics. His intellectual creativity has benefited so many of us; examples abound in the letters supporting his nomination of ways that his ideas have "revolutionized our conceptual models", and many of us carry these ideas into our own research. The impact of his achievements on the direction and shape of estuarine and coastal ecosystem research has had an "unmistakable influence" that we feel is especially deserving of recognition with the Odum Award. Dr. Cloern is also widely recognized for his service in terms of both application of his scientific findings and intellectual leadership, as with his editorial work with both Estuaries & Coasts and Limnology & Oceanography. Whether he is testifying to Congress on the importance of long-term monitoring, or authoring journal articles, Dr. Cloern brings his commitment and enjoyment of estuarine and coastal science forward with enthusiasm. We have all benefited from this work, through the increased impact factor of Estuaries & Coasts and broader support for the work we engage in the coastal realm. In addition to Dr. Cloern’s many conceptual and technical contributions, he has tirelessly served the CERF and broader academic community as a mentor of undergraduates, graduate students, and post-docs. He has consistently devoted his time and talent in overseeing and advising students and young researchers in his laboratory’s monitoring, research, and outreach activities. His efforts are truly unique in this regard, because he is based in a government laboratory, where he is not expected to teach, supervise, and guide students as a committee member. Throughout his career, he has devoted a very significant amount of his time to partnering with academics in US and international institutions to foster and help guide students and post-docs, thereby strengthening CERF and other scientific associations (ASLO, AGU, SCOR, and IOC) missions of ensuring excellence in future generations of researchers and teachers in the aquatic sciences. Award Description: CERF established the Coastal Stewardship Award to honor notable achievements in promoting the wise management of estuarine and coastal systems. This award recognizes specific projects, programs and organizations for their exemplary stewardship activities, including success in management, policy, restoration, and conservation efforts. CERF appreciates the multiple scales at which impacts may be achieved; accordingly, the Coastal Stewardship Awards are occasional awards and may represent a hierarchy of recognition at CERF biennial conferences. If given, one or more awards of recognition could be presented biennially in association with the CERF conferences, beginning in 2017. The Tampa Bay Nitrogen Management Consortium of the Tampa Bay Estuary Program (TBEP) demonstrated impressive achievements in all the key criteria considered important in the mission of CERF to promote the wise use of science and management toward the stewardship of estuaries and coasts around the world. The Nitrogen Management Consortium represents more than 55 public and private entities from throughout the Tampa Bay watershed committed to the goal of collaborating to maintain water quality adequate to continue the recovery of Tampa Bay’s ecosystem. This partnership developed very specific goals and performance measures to monitor progress, demonstrating exemplary stewardship activities. The consortium started with a very modest effort in 1996, that over the last several decades, has constructed nearly 500 projects, and reduced nitrogen inputs on their way to surpassing their goal of restoring seagrass to 1950 levels. In 2016, the bay had 41,655 acres of seagrasses, a recovery of almost 16,000 acres since 1992, and more than 1200 acres above 1950s levels. During this period, the Tampa Bay metropolitan population grew by more than 1M, to a total of 3M in 2016. This nationally-recognized achievement would not have been possible without the collaborative efforts and strong public-private support from such a very diverse and distinguished group of stakeholders. As described by a county commissioner involved in the partnership, “…I have grown up on the bay and have watched the cycles of change and I know that TBEP has been a key part of its continued improvement. Hillsborough County is proud to have such an excellent program as TBEP contributing to the health and ongoing rehabilitation of the bay.” And from a management consortium working on similar goals in another key estuary in the United States, the letter of support had this to say about the engagement process of the Nitrogen Management Consortium. “We watched and learned from their extraordinary efforts to reach out and directly engage all the source sectors, local governments, businesses, and advocacy groups, and make them part of the shared decision-making process. They effectively blurred the lines between public and private, turning us and them into we.” Congratulations to all those involved in Tampa Bay Nitrogen Management Consortium as the inaugural awardees of the CERF Coastal Stewardship Award. Krista D. Lee, and Donald M. Anderson. Paper: "Temperature and Residence Time Controls on an Estuarine Harmful Algal Bloom: Modeling Hydrodynamics and Alexandrium fundyense in Nauset Estuary." Award Description: This award recognizes the author(s) of the best physical oceanography paper published in Estuaries and Coasts within the two-year interval between CERF conferences. The paper “Temperature and Residence Time Controls on an Estuarine Harmful Algal Bloom: Modeling Hydrodynamics and Alexandrium fundyense in Nauset Estuary” by Ralston, D.K., M. L. Brosnahan, S.E. Fox, K.D. Lee, and D.M. Anderson represents a significant step forward in the understanding of linkages between hydrodynamics and ecological processes, specifically harmful algal blooms in an estuarine environment. The authors developed a highly resolved, three-dimensional hydrodynamic and biological model of Alexandrium fundyense to investigate the physical and biological controls on a recurrent harmful algal bloom. They quantified the dominant factors controlling the A. fundyense bloom, which included environmental conditions such as water temperature, hydrodynamic constraints including bathymetry and stratification, and biological behavior such as diel vertical migration. This study is notable for its robust treatment of both the hydrodynamic and biological processes in a numerical model, as well as the extensive use of observational data to both understand the processes and assess the model. The authors demonstrated a skillful application and clear presentation of numerical modeling to quantify previously under-constrained processes and advance our understanding of the connections between hydrodynamics, ecological processes, and environmental health. 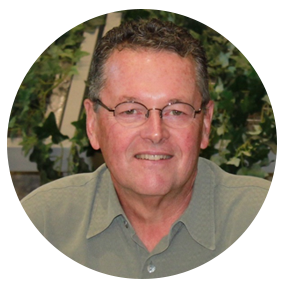 Award Description: The Distinguished Service Award recipient is selected by the CERF President for their exceptional volunteer service to the Federation. Dr. Veronica Berounsky is a Senior Fellow in the Coastal Institute of the University of Rhode Island (URI); she has spent her career studying what goes on in the diverse ecosystems of the coastal zone including Narragansett Bay, Narrow (Pettaquamscutt) River Estuary, and New England coastal ponds. 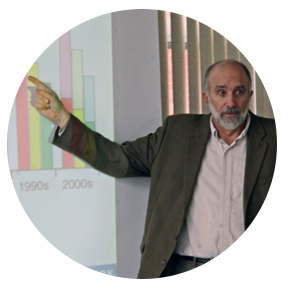 Dr. Berounsky distinguished service to CERF spans over three decades of critical roles within CERF and the New England Estuarine Research Society (NEERS), particularly within conference planning and governing board service. CERF 2017 represents the third time that Veronica has served in a leadership role in organizing a CERF biennial conference: she has served as co-chair of the Conference Committee for ERF 1997, Social Events chair for CERF 2007, and Attendee Experience Committee co-chair in CERF 2017. 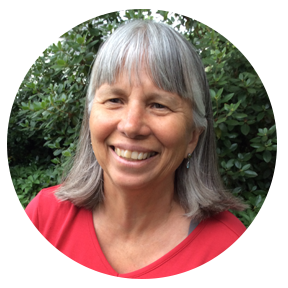 During her more than thirty years as a member of NEERS, she has co-hosted nine NEERS meetings spanning from 1981 to 2017. Within NEERS, Dr. Berounsky has been a steady leader, serving as President when she was still a graduate student at URI, thus representing the first student to officially serve on an ERF governing board as NEERS representative in 1991-1993. She has also served as Program Chair, Secretary/Treasurer, and Member-at-Large of NEERS, and served on the CERF Governing Board as Secretary in 1995-1997. Dr. Berounsky love and passion for CERF epitomizes her own commitment to research, education, and outreach on and about estuaries. She has translated that passion to distinguished service from her graduate student days in 1981 at the Graduate School of Oceanography under the mentoring of Dr. Scott Nixon, to this CERF Conference in 2017 in Providence, RI. Veronica is what CERF is all about.